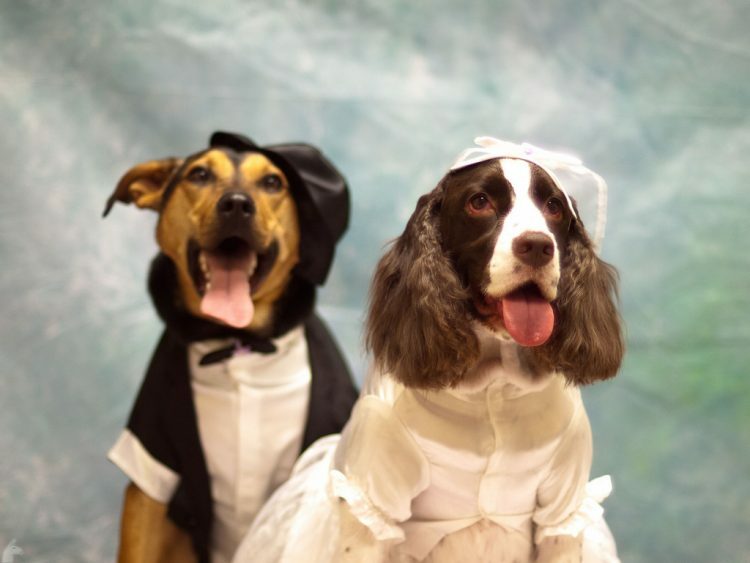 What will your dog or cat do while you take your vows? Here’s our best advice on how to include pets in your wedding — plus some important safety tips. Strike up the band because you’re planning the happiest day of your life — your wedding day! Everything is falling into place except one thing: What will your dog or cat do while you take your vows? Many couples have included their pets in their weddings, whether the pets are simply attendees or in more active roles. If you’re getting married and you want your faithful companions by your side, this article offers lots of ideas on how to include pets in your wedding. 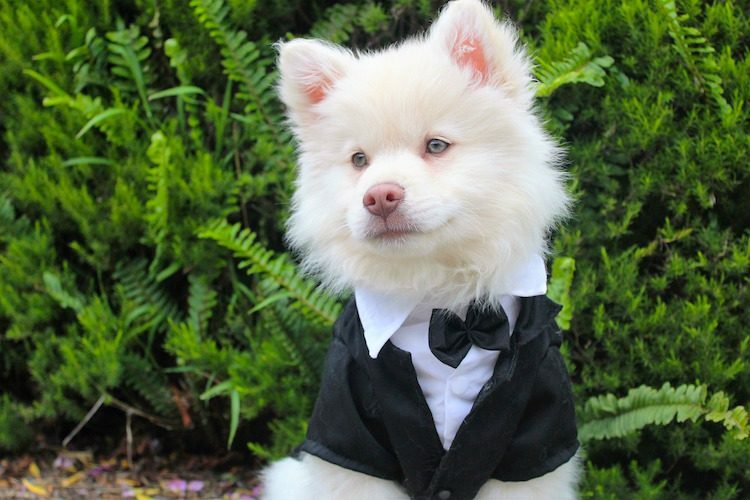 First, think of what you’ll be asking of your dog — can they handle a wedding? Some dogs love people, noise and events, and they do well in a crowded setting. Others may struggle with all the excitement on the big day. “Weddings can be stressful and overwhelming for a dog that does not adapt well to new environments or is uncomfortable around strangers,” says dog trainer Victoria Stilwell. “Sociable dogs that are outgoing and friendly often cope better with the extra attention they are likely to receive. 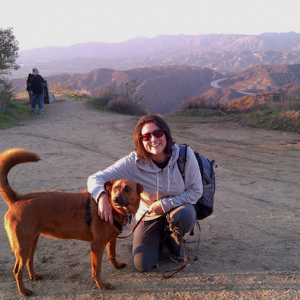 If your dog is shy and uncomfortable around people, leave him at home where he is safe and secure,” she says. 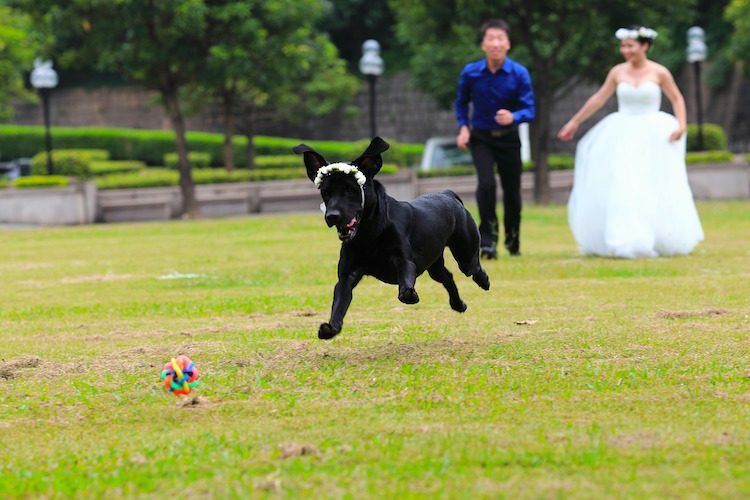 The last thing you want is your dog ring bearer running off with the rings. If your dog is excitable and a jumper normally, take plenty of time for training before the ceremony. And if you think they just aren’t going to be able to contain themselves, don’t worry — they can still attend as a guest and even be part of your wedding photos. Bottom line: If your dog is anxious in new settings or can’t deal with crowds of people, it may be best to leave them at home. There is probably no worse feeling than planning everything perfectly and then finding out that the wedding venue has a strict no-pets policy. Many outdoor wedding venues allow pets, but not all of them do. Indoor venues differ from company to company — some may allow your dog, but they’ll be restricted to certain areas. Check with your venue early in the planning process. If you’re having a beach wedding, contact the local town hall and find out whether dogs are allowed. Larger dogs can carry a sign around their necks that tells guests the ceremony is about to begin. Smaller dogs can fit into totes and be carried along with the bride as part of her bouquet. Give your dog plenty of training well before the ceremony. They should be well versed in commands like “come” and “stay” and know not to jump on people. As a courtesy, let your guests know that your dog will be attending or performing in the ceremony. Cats are such an important part of our families that it may make sense to include them in big events like weddings. 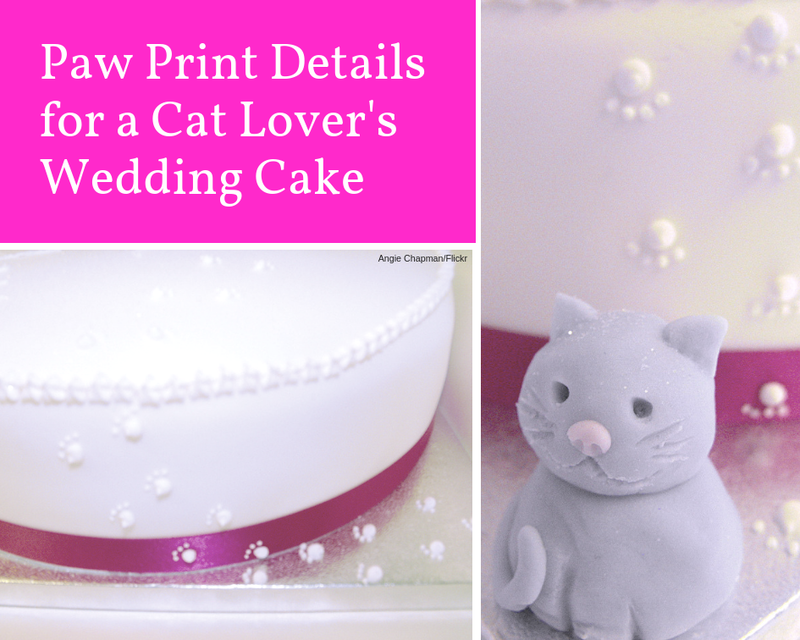 Below are some thoughts on how to include a cat in your wedding. Let’s face reality here: You probably shouldn’t plan on having your cats walk you down the aisle. You just have to be practical. First, have several people watching the doors, especially if those doors open right onto the great outdoors. Better yet, put your cats in harnesses or pet strollers. It’s also a good idea to have the cats taken home before the reception … unless your guests won’t mind being dive-bombed by furry, food-seeking missiles. Nor do you want your cats getting into wedding guests’ food. Instead of springing for artistic-looking — and expensive — guest favors for your wedding, suggest a donation to the animal shelter or organization that rescued your cat in the first place. The British Columbia Society for the Prevention of Cruelty to Animals began the Biscuit Wedding Registry and Favor program in 2007. “I’d seen it done with other charities and thought, why not for animals?” says the organization’s Melissa Balfour. “Some couples use it as a way to include a family pet in the celebration by making a donation on Fluffy’s behalf, while others find it to be a sentimental way to remember a former family pet that has passed on,” she says. You can take it a step or two further: Ask your guests to bring donations of canned and dry cat food as gifts instead of salad spinners and Cuisinarts. Opt for a cat-themed wedding — you can really play it up. One couple went for centerpieces made to look like giant yarn balls and “Hiss” and “Purrs” chairs. Or you can go flea-market chic. You’d be surprised at how many vintage (and affordable) cat figurines and collectibles you can find at thrift and consignment shops. A little rummaging here and there, and — voila! — you have a cake topper and maybe a few centerpieces, too. “One of my co-workers has a picture of his wife in her wedding gown and himself in his tuxedo, with both of them holding their cat,” says Avram, a blogger. The co-worker “told me that they had had a photographer take the picture at their apartment on the morning of their wedding,” Avram says. Avram and his fiancée, fellow blogger Liz, weren’t able to go that route. But his co-worker’s story does open up a lot of possibilities. 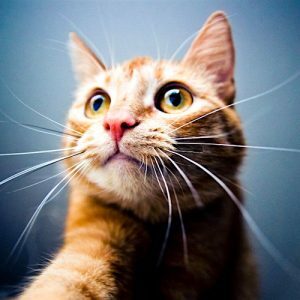 Give your cat billing in your engagement photos, wedding invitations and “Save the Date” notes. 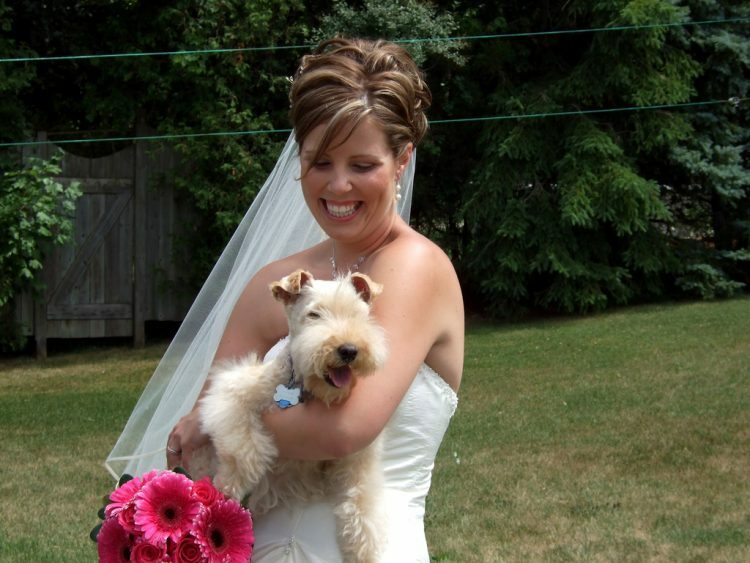 When you include pets in your wedding, the gregarious dog or cat will lap up the attention. However, with the happy couple focused on each other, someone needs to keep a firm eye on the pets to keep them safe. The bride’s bouquet is usually a beautiful cascade of colorful blooms, contrasting against the white of a bridal gown. Flowers are a traditional part of any wedding, as is the bride tossing the bouquet to guests later in the day. The cat-loving bride should take care which flowers she chooses. Lilies in particular are highly toxic to cats. And it’s not just the flower but all parts of the bloom, including the pollen. 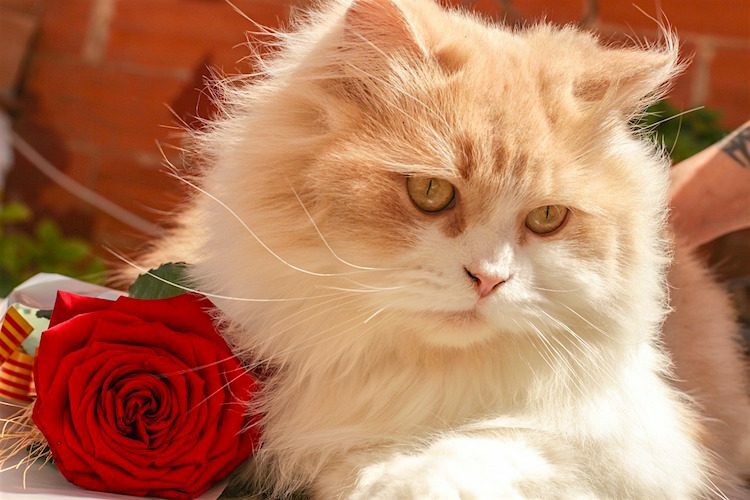 If a cat brushes against the bouquet, becomes dusted in pollen and then grooms it off, the result could be serious kidney failure. If a cat does come into contact with lilies, wash off the pollen immediately. If the cat ingested even a small amount, skip the ceremony and hotfoot it to a veterinary clinic for urgent treatment. With wedding guests merry with good cheer and alcohol, it’s all too easy for someone to leave a glass where the dog can reach it. Alcohol contains ethanol, to which pets are especially sensitive. Plus, their relatively small body size means they don’t need to drink much to suffer the side effects. Thus, small dogs like Yorkshire Terriers who help themselves to a snifter of brandy could be in big trouble. Signs of alcohol poisoning start with agitation and excitability. Along with that may come sickness and diarrhea, and then wobbliness and depression. In pets, alcohol produces profound alterations in blood sugar levels as well as certain electrolytes. This affects the heart rate and ability to breath, with pets lapsing into a coma and dying. Prevention is the best policy, with all guests made aware not to leave glasses within pets’ reach. Throwing confetti is a tradition said to bestow wealth and fertility upon the happy couple. These days, confetti can be made from paper, plastic, dried rose petals or rice. Most confetti is not in itself toxic, but if your dog excitedly hoovers up rice or plastic confetti, there is a risk of it clogging up the intestine and causing a blockage. Another tradition is a tiered wedding cake, which is sometimes also a rich fruit cake. This confection is packed full of dried fruits such as raisins, sultanas and currants, which are highly toxic to dogs. As little as 11.5 grams of raisins per kilogram of body weight can be fatal. This amounts to a 10-kilogram (22-pound) Corgi eating just over 100 grams of dried fruit to cause serious harm. The exact mechanism by which raisins damage canine kidneys isn’t known. But don’t take the risk. Again, guests must be made aware not to give cake crumbs to the dog, no matter how appealing those puppy dog eyes are. The wedding banquet is another potential source of angst. Rich foods, especially those high in fat, may trigger pancreatitis in some pets. The pancreas produces digestive juices that break down fat. Excessive pancreatic stimulation (such as a high-fat snack) can cause a leakage of digestive juice into the tissue of the pancreas itself. In effect, the pancreas digests itself, which is hugely painful and can be serious. Symptoms include stomach pain, sickness and diarrhea. Again, avoid giving fatty foods to pets. If the bride is watching her weight and provides sugar-free goodies for the guests, then don’t feed these to attending pets. Xylitol is an artificial sweetener used in place of sugar. Unfortunately, it disagrees with pets and causes their blood sugar levels to plummet dangerously low. 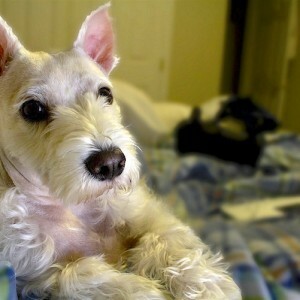 After eating xylitol, a dog may lapse into a coma within 30–60 minutes. The toxic dose of xylitol for dogs is around 0.05 grams per kilogram of body weight. Thus, a 10-kilogram (22-pound) Corgi needs to eat only around a half a gram to experience serious effects. 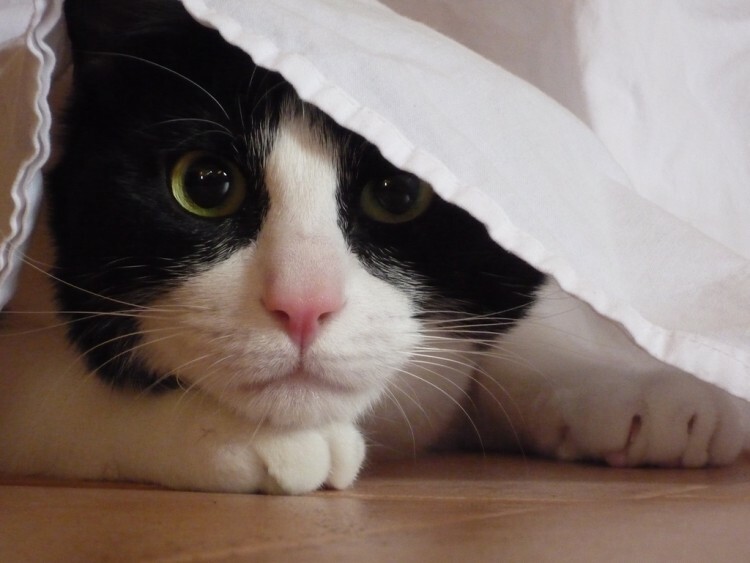 With everyone’s eyes on the blushing bride, don’t let vigilance lapse on what the pets are up to. 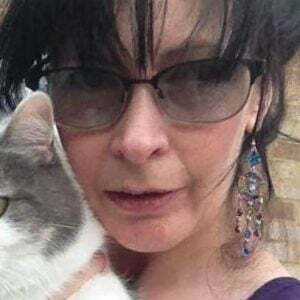 With lots of strange people milling around and leaving doors open, it’s all too easy for a pet to escape or wander off. Take heed of these hazards when you’re deciding how to include pets in your wedding. That way, your pets can enjoy the big day along with everyone else. But if all this sounds like hard work, then it may be best to leave your dog or cat safe at home. This article on how to include pets in your wedding was written by a veterinarian, Dr. Pippa Elliott, BVMS, MRCVS. Writers T.J. Banks and Melissa Smith also contributed. This article was last reviewed Jan. 11, 2019. What Happens If You Let Your Dog Sleep in Bed With You?